Voice Over IP, commonly referred to as VoIP, and more recently simply as IP, represents a convergence of telephone and computer systems which has the potential to increase efficiency and reduce costs. Thousands of companies (and individuals) are reaping the benefits of VoIP phone technology and Telephone Magic provides cost-effective VoIP solutions for your business. It is important to realize that while the term VoIP starts with "Voice", the practical applications of a VoIP network for business go beyond voice to include video and data conferencing. VoIP is the "next big thing" in telecommunications technology - and it's here to stay. Implementing a VoIP business phone system is not as simple as setting up a regular phone system because the basis of the system relies on the proper setup of your data network. The hubs and switches in your existing computer infrastructure may not be compatible with VoIP technology. In addition, there are three major VoIP standards you need to be aware of because equipment that operates on one standard will not work on another. 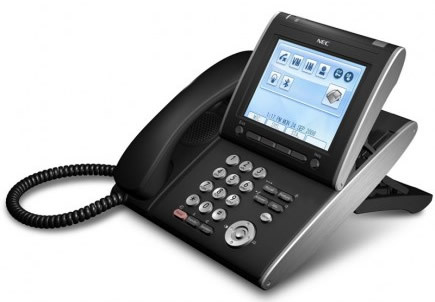 Proprietary VoIP systems often can not integrate equipment from other manufacturers.